In 2009 Spacial Audio was acquired by Triton Digital. This gave us access to cutting-edge streaming technology, expert knowledge of the radio industry and its ecosystem, and exhaustive resources that have allowed us to grow in the right direction. We recognized an opportunity for a Cloud-based solution as we had many clients who did not have the resources to stream live 24/7. 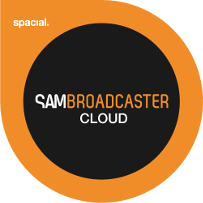 SAM Broadcaster Cloud was born, which is a Cloud-based radio automation solution with a live streaming component that can also integrate with SAM Broadcaster software.